It's the month of fasting for my muslim friends, I would love to wish my friends out there "Selamat Berpuasa" ♥ Last month, I was invited for a Ramadan buffet review at Rajang Hall, GTower which is located along Jalan Tun Razak. Their celebrity chef, Chef Johnny Fua and his team will be preparing delicious halal local delicacies for this Ramadhan period. You can pamper and fill your empty stomach with all this amazing authentic Malay dishes. 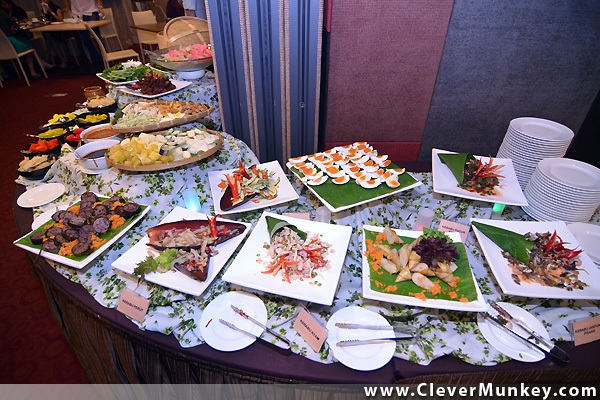 Cold and Hot appetizers such as Kerabu Perut, Crackers & Papadam, Kerabu Jantung Pisang and the all-time-favourite sambals! They even serve all kinds of bread, muffins, kerabus, and soup to jump start your meal. I haven't seen so many kerabu and salad in my life and I didn't know which to pick! I took the blueberry muffin and it was really good. I didn't try others because I can't wait to attack the main course! This fish is so fresh, it comes with it's sauce and it goes really well together. The rice is really fragrant and the Roast Lamb Shoulder made my day! I went a few times to refill my plate with this. The Lamb was well cooked but still tender and juicy! This fried chicken is really well marinated and it wasn't dry at all. This colourful fried rice caught my eye and the name was so special. It looks like rainbow! 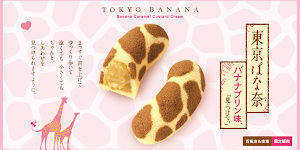 It doesn't taste weird and surprisingly good. All sorts of assorted kuih and pastries, fruits and fruits cocktail. 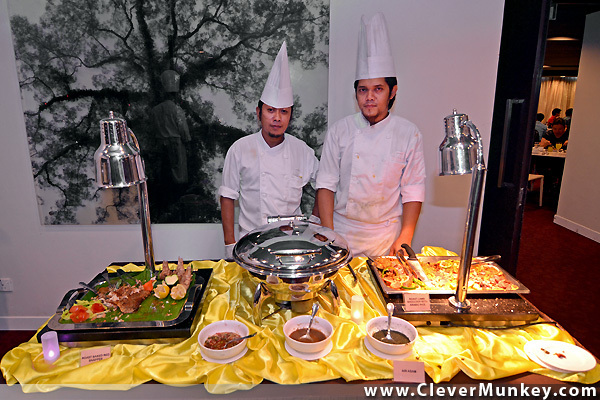 This is my first Ramadhan Buffet, and I'm quite impressed that they have a wide range of dishes. 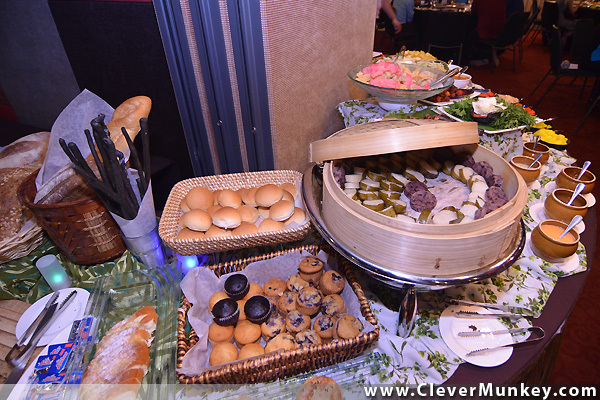 I think malaysians who appreciate authentic Malaysian cuisine would love this buffet! It's really an eye opener for me too, I haven't been exposed to so many Malaysian dishes. It was a great experience dining with them and be able to try out all this food. Dishes will be different from time to time so it's best to contact them to find out what they will be serving on the particular day! You can view some of the menu here. while kids under 6 years old will eat for FREE.